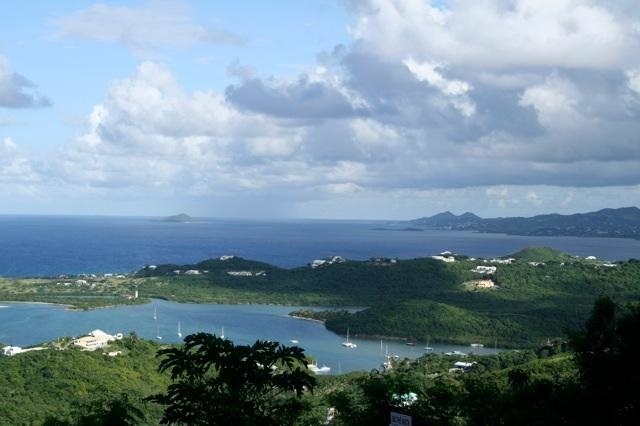 The views are absolutely spectacular from these hillside lots, overlooking Salt River and Buck Island, with views of the twinkling lights of Christiansted at night! In the desirable neighborhood of Vista Concordia, one lot is .62 acre, asking $100,000, and the other is .71 acre with a natural building pad, asking $115,000. Come and build your dream home here and enjoy the tradewinds and views. HOA fees of $250/year for unimproved land and $500/ year for improved. 8 sales closed, with an average sales price of $411,687, and average days on market of 299. This compares to January, 2009 with 4 sales, average price $451,500, and days on market 178. 3 units closed, with an average sales price of $195,833, and average days on market of 337. Last year 3 units also sold in January, average sales price $571,500, and days on market 282. 3 sales closed, with an average sales price of $47,833, and average days on market of 258. Last year 5 lots sold, average sales price $58,200, and days on market 466. 11 sales closed, with an average sales price of $600,727, a median sales price of $348,000, and average days on market of 446. 11 sales closed, with an average sales price of $78,636, a median sales price of $57,000, and average days on market of 239. 109 sales closed, with an average sales price of $423,973, a median sales price of $300,000, and average days on market of 263. 44 units closed, with an average sales price of $249,415, a median sales price of $186,250, and average days on market of 270. 126 sales closed, with an average sales price of $105,320, a median sales price of $47,000, and average days on market of 270.